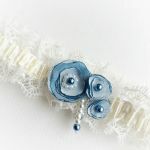 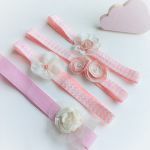 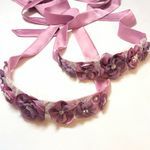 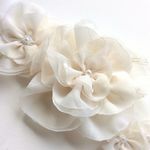 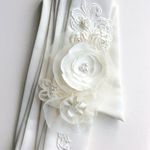 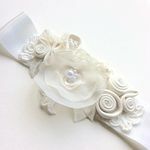 Double sided satin ribbons, or hand-made fabric sashes and belts, embellished with hand-made fabric flowers. 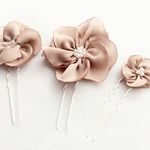 These are perfect if you want to create a feature at your waistline. 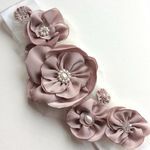 For bridesmaids, sashes and belts are a great way to match everyone, and work very well if bridesmaids are wearing different dresses too. 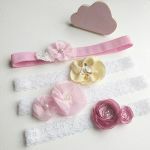 The sashes can be made to a length of your choice - depending on how you wish to tie them. 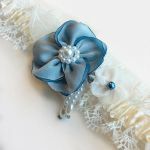 For ideas on how to tie your sash, have a look at this video. 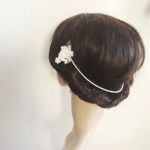 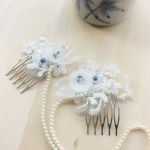 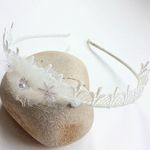 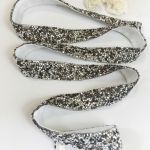 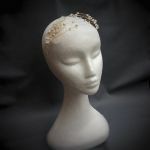 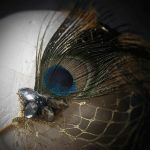 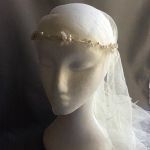 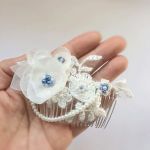 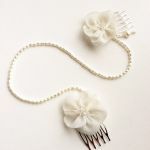 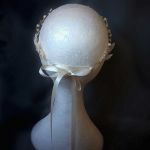 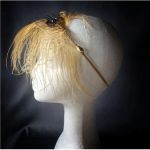 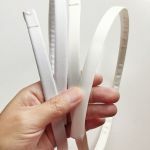 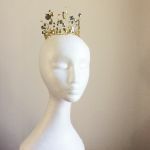 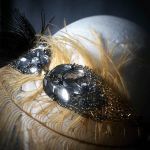 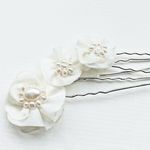 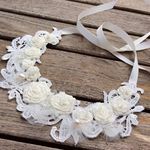 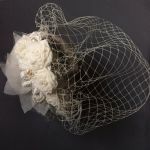 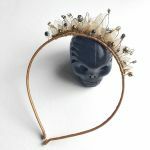 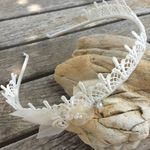 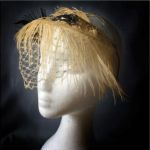 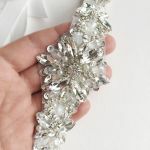 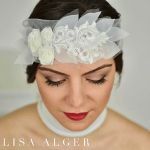 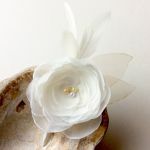 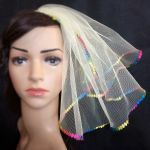 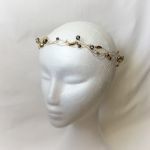 Skinny headbands, hand-tied headbands or head scarves, combs, pins, birdcage veils, circlets, hair vines, fascinators, this section covers a range of different type of hair accessories to create the look you would like to achieve. 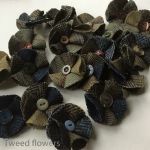 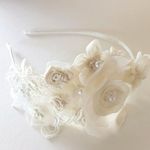 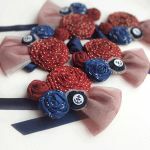 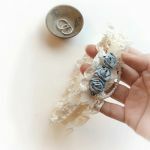 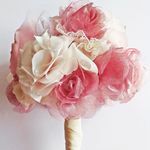 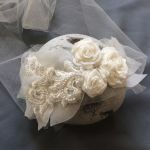 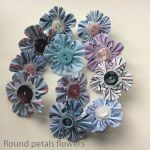 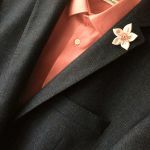 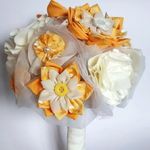 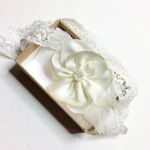 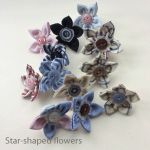 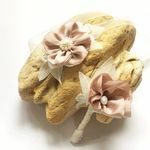 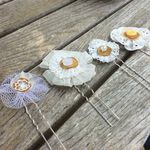 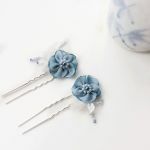 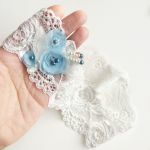 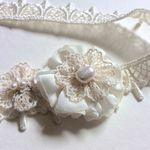 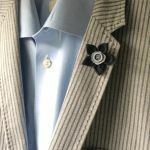 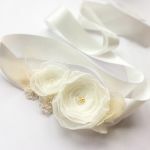 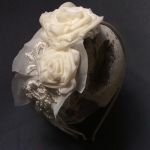 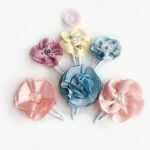 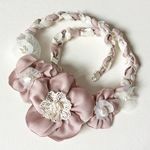 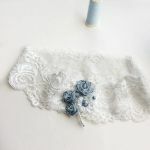 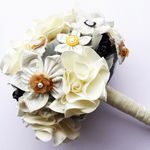 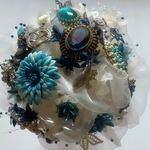 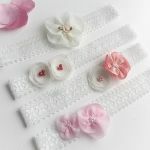 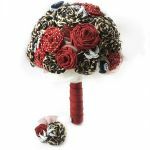 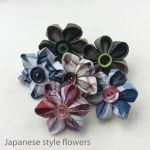 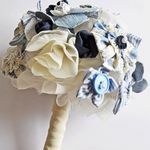 Bouquets made of fabric flowers, lace, brooches, buttons and all sorts of decorative items - perfect if you want to have your bouquet as a keepsake. 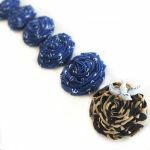 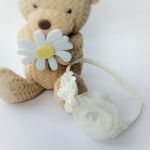 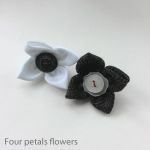 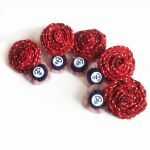 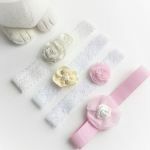 These can be made in different sizes and matching colours, and you can also mix and match bouquets, wands, pomanders in the same matching style and colour. 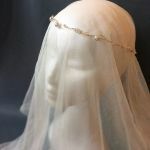 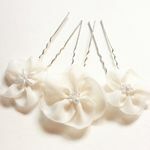 And here for anything else that a bride may need! 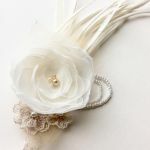 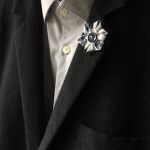 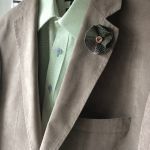 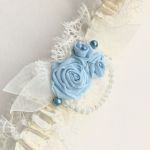 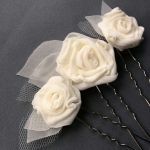 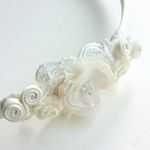 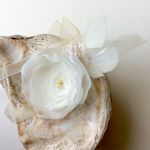 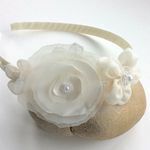 Corsages, necklaces, garters are just a few examples. 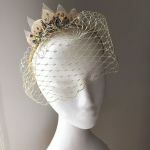 Everything that you see above has been designed and handcrafted in my studio in Nantwich, Cheshire, UK.